Our first stop when we reached Baguio through Kennon Road was, of course, the famous Lion’s head. I think I was still a kid when I last had a photo op at the infamous landmark. 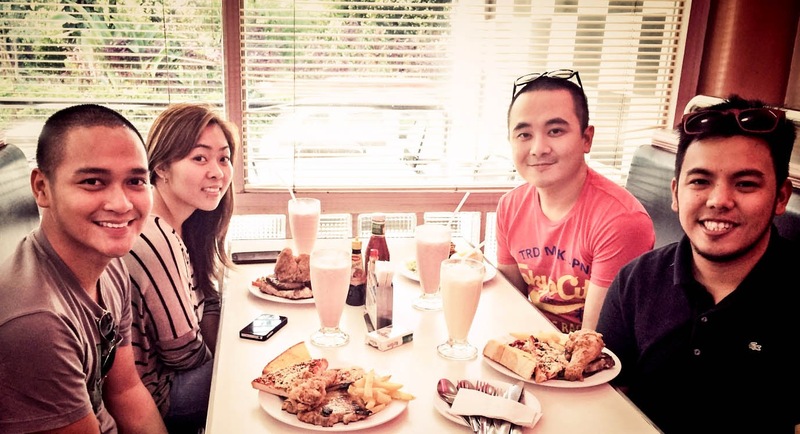 After a few poses, we went off to have breakfast at one of our favorite restaurants in Baguio, The 50’s Diner. As always, they never failed to give us humongous servings of the usual American casual food. This time we tried their other branch along the Military Cut-Off Road for the first time. It is a delight to somewhat go back in time and experience an old American diner while we enjoy the cool morning breeze of the highland. Of course I had to order one of their best sellers, Gangsta Gangsta meal and my favorite strawberry milk shake. The food, as expected, is delicious, generously served and most importantly, affordable. Its good. We discovered new places to visit. At least for us. Hehehehe. Thats why i love going there during off peak seasons, mas konti tao. I'm excited to post the other finds we saw there. I have to take it one day at a time though. Food looks really, really, really good. Making me hungry.